This is the sixth in the series of edited books from the International Forums of Pediatric Pain (the first four volumes were edited by Dr. Patrick McGrath and Dr. Finley, Dr. Chambers joined as an editor for the last volume). In keeping with the previous publications, the book will focus on a particular theme in pediatric pain; in this case that is the integration of cutting edge science and clinical practice on various themes in pediatric pain through the presentation and discussion of a series of clinical cases. A new edition of a highly regarded text in the series on Pain Research and Clinical Management. 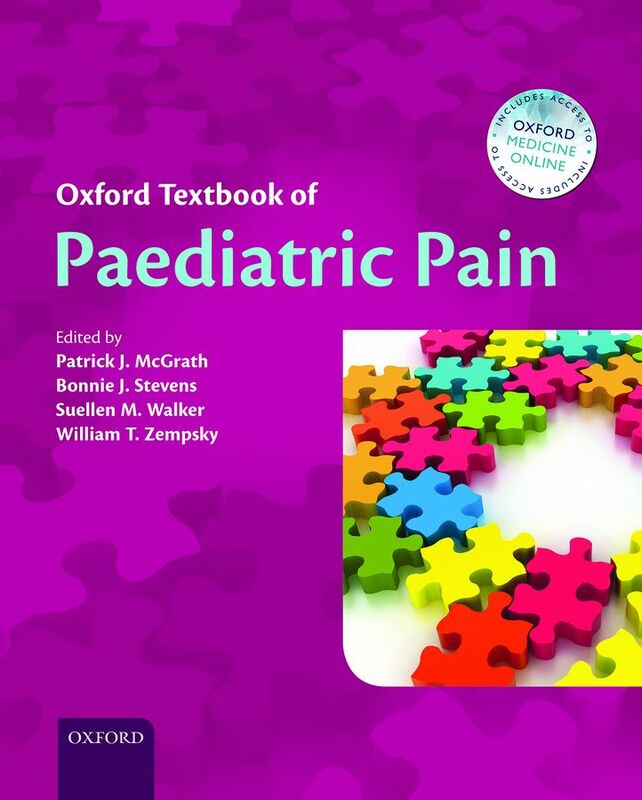 The book is now used as a standard reference text for those working in the field of neonatology and paediatric pain assessment and management. It provides a comprehensive resource of the latest information in the field for use by both researchers and clinicians. The text is intended for use by all professionals working in the field: neonatologists; pediatricians; anestheiologists; nurses; psychologists. To order click here. Finley G.A., McGrath P.J., Chambers C.T. (Eds.). (2006). Bringing Pain Relief to Children. Totowa, NJ: Humana Press. A panel of prominent clinician-scientists comprehensively reviews the latest developments in pediatric pain management, with special emphasis on the setting in which pain is detected and managed. The authors explore the cutting-edge of children’s pain care in inpatient, outpatient, palliative care, school, and residential settings, and describe alternate approaches, including complementary and alternative medicine, pain management via the internet and information technology, and pain care in developing countries. To order click here. Social, psychological, and biological contexts affect an individual’s response to pain, but the nature of familial, cultural, and ethnic factors is often obscured by stereo­­­typical thinking and poor methodology on the part of researchers. Contextual influences on pediatric pain merit special attention because early pain experiences potently affect later pain experiences. In this volume, international experts in pain research and treatment share their perspectives on these contextual factors and point the way toward future research. Finley, G.A. & McGrath, P.J. (Eds.) (2001) Acute and procedure pain in infants and children. Seattle, IASP Press. Acute pain is important not only in terms of the suffering it causes children, but also because it is almost invariably the first step in the development of chronic pain. The management of acute pain often determines children’s later attitudes toward health care in general. How an institution manages acute pain is a marker for how it manages all forms of distress in suffering children….Acute and Procedure Pain in Infants and Children represents the first attempt to address this topic from the perspective of basic science, clinical practice, and ethical responsibility. The editors have assembled an impressive array of internationally renowned clinicians and scientists whose contributions in this book will set the standard for future exploration of these topics.